If you really think about it, the content formats we rely on today have an uncanny resemblance to the content formats we relied on yesterday — our blog posts look like print articles, our offers look like books, and our slide decks like look presentations. Relying on the content formats we used yesterday to educate and entertain our audience today is fine, though. Our audience is ultimately used to these mediums. But, at the same time, we’ve missed a huge opportunity to engage them at record levels because we glossed over the fact that screens and computers are so much more than just digital pieces of paper and printing presses. Fortunately, the interactive marketing movement is charging along and their early adopters have proven that if marketers want to cut through the noise, they can’t just do what they’ve always been doing. They need to refresh their work. Interactive marketing is an innovative type of marketing where your audience can interact with engaging visuals or videos within your content. This new form of marketing unleashes your creativity and, in turn, allows you to tell more gripping stories, crowning it as one of the best ways to capture your audience’s attention. Mash-up remixes like Two Friends’ Big Bootie Mixes are some of the most popular tunes around today, racking up over 35 million SoundCloud streams over the past three years. However, Eko, an interactive storytelling platform that produces interactive shows, music videos, and branded content, has created a remixed music experience that’s arguably more entertaining than any of Two Friends’ mixes. In Clash Up, Eko’s interactive music experience, they let you mix a variety of songs from different genres and decades with one main track. 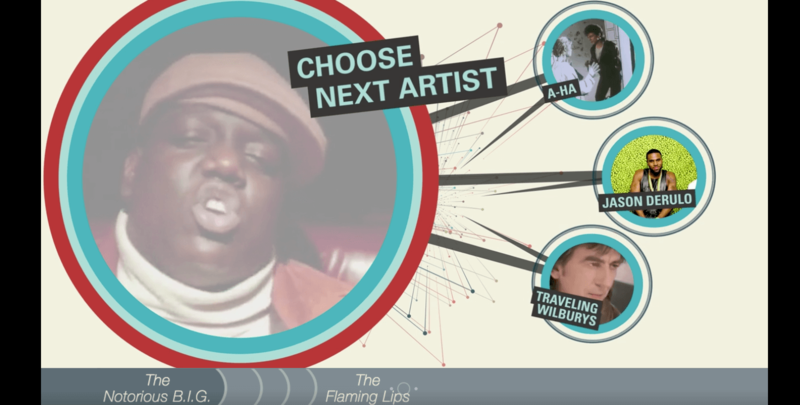 For instance, in their first episode, Six Degrees of B.I.G., you get to choose from a diverse range of songs like A-Ha’s “Take on Me”, Jason Derulo’s “Wiggle”, Brandy’s “I Wanna Be Down”, Devo’s “Whip It”, and The Flaming Lips’ “When You Smile” and blend it with one of The Notorious B.I.G.’s most legendary songs “Big Poppa”. Stand-up comedians might seem like the lucky wisecrackers who are blessed with the talent to improvise some of the funniest jokes and bits you’ve ever heard, but, in reality, they polish their performance with painstaking precision. To crack their audiences up as much as possible, they make sure their routine’s stories seamlessly flow from one to the other. However, some comedians, like Ali Wong, take their stand-up preparation to an entirely different level. In their interactive slideshow about how Ali Wong structured her Netflix special Baby Cobra, The Pudding, a digital publication that crafts visual essays about culture and entertainment, describe how she sculpts her routine into a narrative instead of just telling a bunch of separate jokes. By visually outlining her entire routine, The Pudding reveals how Ali Wong weaved all her bits into a story, building her world and perception of life in a way that her audience can truly understand, which left them with a deeper feeling of empathy, meaning, and, ultimately, humor. To promote Matt Damon’s and Ben Affleck’s science fiction television series, Incorporated, Syfy teamed up with Wirewax, a company that offers interactive video technology and creative services, to produce an interactive trailer that pulls you into a dystopian future where global corporations also serve as totalitarian governments. As the trailer plays, you can click on hotspots that’ll play clips of the show, previewing its premise and giving you a glimpse of the main character’s motivation and scheme to undermine the corporate government that controls his city. In their interactive slideshow, which honestly looks like it belongs in Tron, Velocity Partners, a B2B marketing agency, explains why innovative marketers need to leverage new content formats in order to tell more refreshing stories. By showing, not telling, how their interactive slideshow, which is called a Velocity String, can captivate an audience, as well as how marketers have churned out so many blog posts, eBooks, and SlideShares that they’ve become dull and predictable, Velocity Partners hammers home the point that the most engaging and surprising mediums are best at delivering the most engaging and surprising stories. In honor of Rob Gronkowski’s recent retirement, Ceros, an experiential content creation platform, decided to create an interactive article that spotlights the two things Gronk will always be remembered for — his athletic prowess and goofy attitude. 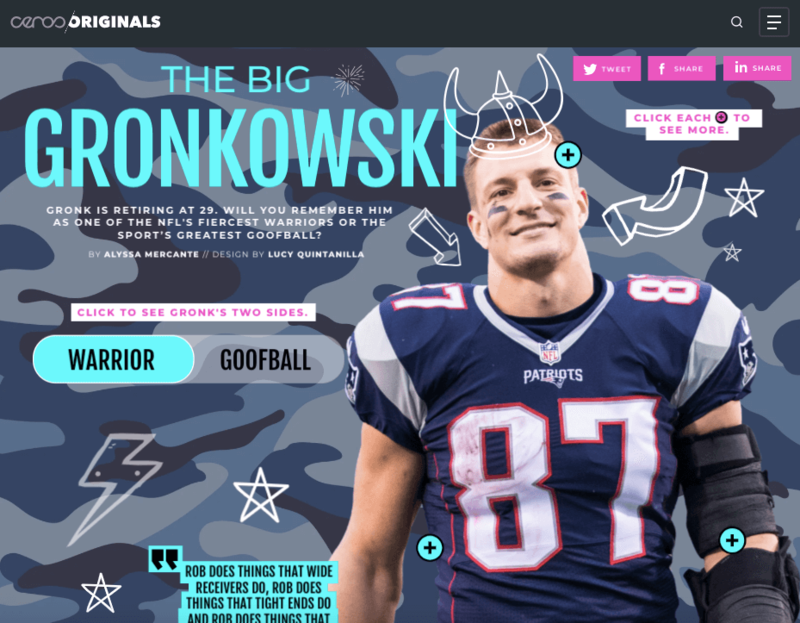 When you visit their interactive article, you can toggle between Gronk’s “Warrior” and “Goofball” side, clicking on hotspots that reveal his impressive achievements, his laundry list of injuries, and some of the funniest things he’s ever done. Once you finish interacting with the article, you’ll truly understand how Rob Gronkowski is just as athletic as he is goofy. In 2019, Rough Guides, a renowned travel guidebook, named Scotland the most beautiful country in the world. And a big reason why it’s such a spectacle is because Glen Coe, a Scottish valley that cuts through the ruins of an ancient supervolcano, is one of the most striking landscapes in the world. With their immersive, 360 degree video of Glen Coe, BBC Scotland can grip viewers because they’re able to experience the landscape from an intimate point of view at every possible angle, making them feel like they’re actually there. 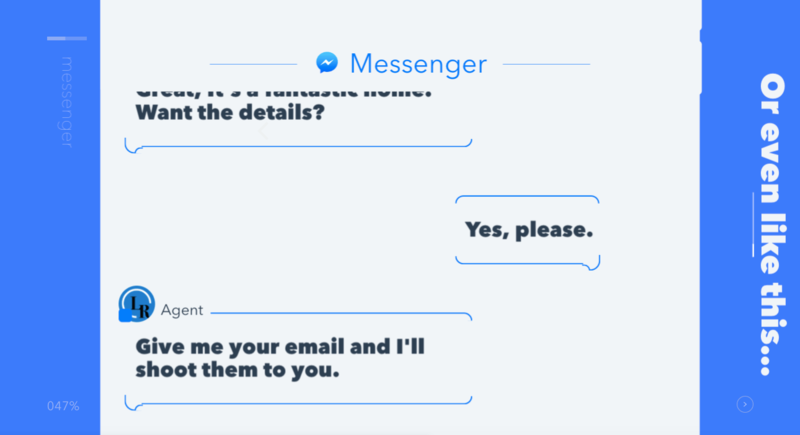 Interaction is the crux of conversational marketing, so it makes perfect sense that HubSpot leveraged this Velocity String to convey the importance of conversational marketing and promote their 15-part video crash course on applying live chat, Facebook Messenger, and bots to your inbound marketing strategy. By contrasting our reliance on messaging apps to interact with friends and family with marketing’s sluggish adoption of chat bots, covering conversational marketing’s benefits, and spotlighting how HubSpot’s new messaging tools can integrate with your entire marketing suite and database, HubSpot’s interactive slideshow not only engages you for its entire duration, but it also persuades you to take the next step and learn even more about conversational marketing after you finish interacting with their content.